Beautiful, large ranch home with 5 bedrooms, 3 full bathrooms, and a walkout basement which can be used as a mother-in-law quarters. 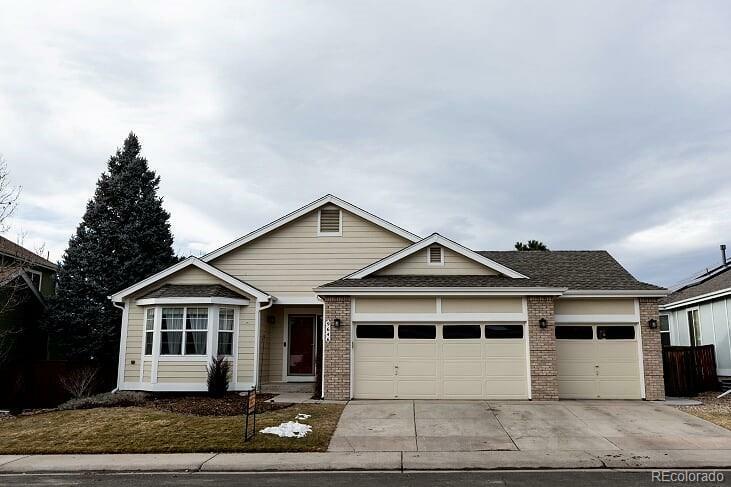 Open floor plan with many upgrades including laminate wood flooring, granite countertops, interior doors, dishwasher, jetted tub, and bathroom sinks on the main level. Upgraded full kitchen, interior doors, patio doors, bathroom, and carpet on the lower level. Laundry rooms on both levels. Basement washer/dryer is included. Newer exterior paint, garage fire door, concrete walkway and railing, under deck cover, oversize rain gutters, and 50 gallon hot water tank. Mountain views from the newer Timbertech deck with gate and lighted stairs. Located on a cul-de-sac close to Westridge Recreation Center. Sellers will give a $1400 allowance to replace the carpet in the main level bedrooms with the flooring of your choice. Price is reduced as seller is under contract to buy a new home. Great opportunity! Offered by Cornerstone Realty Inc.